On April 26, 2015, Ruby Cunningham Harris Monroe turns 96 years old. In her honor, dozens of family members will join together in just the latest of a long line of family reunions. In recent years, Ruby’s generation of family has one-by-one dwindled in size. Ruby is the last survivor among her siblings. Thanks to many years of hard work, especially by Elaine Harris Haggard and Faye Harris Weller, much of the family’s history and lineage…and stories…have been recorded in one form or another. Family trees. Letters from long ago, tucked away and treasured. Photos that bring to life the happy times (and the oh-so-hard times). My goal with this booklet was to tie together these pieces, the “story of us,” and to add to it the memories of Ruby and Oran’s children; to record some of their thoughts and recollections from their time growing up near Eufaula, OK and Lamont, CA. There will surely be important pieces forgotten; and there will likely be sections that are “almost right, but not quite.” This is the result of many conversations and “remembering sessions,” plus much reading of old letters and other research. The conversations and emails sometimes were animated and energetic! Many thanks to these people who shared: Ruby, Elaine, Faye, Leon, Ruth and Curtis. This story grew from the desire to keep alive the history of our family, to preserve it for our children and future generations so they (and we) will always remember how we got here. She stepped up into the train all by herself on a hot July day in 1946. The 27 year old mother of four was dressed in her Sunday best; it’s what you did when you traveled by rail in those days. As she started the three-day trip from Eufaula, OK to Bakersfield, CA, she didn’t feel brave or strong or independent, she just knew what needed to be done and she wouldn’t let anything stand in her way. She couldn’t. Ruby Cunningham Harris was a woman on a mission to find the one doctor she’d heard might be able to help her youngest child, Eunice “Faye.” The little girl had been born six years earlier, a “blue baby,” weighing in at just 2 ½ lbs on her father’s fish scale. She was so tiny, a teacup could fit over her head which was just the size of a silver dollar! For her first year of life, the fragile baby was held and carried on a pillow. Still, in spite of her slight size, Faye wasn’t taken into town to see a doctor until she was a year old. That’s when it was discovered that she had been born with a hole in her heart, a condition that, at the time, had no medical treatment or cure available. Dr. Baker saw patients in the tiny town of Eufaula, eight miles from the farm called home by practically the entire Harris clan. After five years of treating Faye and her miscellaneous ailments (ricketts, yellow jaundice, and numerous infections like tonsillitis), the doctor recommended contacting Dr. Buss, a colleague who practiced medicine in Bakersfield, CA. Dr. Buss, he knew, was in touch with others doing research on how to treat blue babies. Perhaps he would know how to help. The doctor also recommended the family consider permanently moving west, to a warmer climate, in order to keep Faye out of the cold Oklahoma winters. Moving was a possibility for mitigating Faye’s health issues, and they would consider it, but at this moment Ruby was on the hunt for a solution. A cure. With a new hope of finding an answer to making Faye’s heart whole, a trip to California was in order. But Ruby lived on a farm with her husband Oran’s entire family; that can make for some challenges. For Ruby, it meant Grandma Emma Harris, her mother-in-law, putting her foot down and forbidding her from taking fragile Faye across three states without knowing what lay ahead. So Ruby set out on a scouting mission to evaluate the situation and to determine the next step. Traveling alone to Bakersfield was an independent move for a young woman in the 1940’s, but Ruby would have a warm welcome when she arrived. Her parents, Rev. William “Will” Francis and Ellen Jane Cunningham, lived there, having previously moved from Eufaula to Bakersfield. Ruby’s younger sister Jewel Kitchen and her husband Dave also lived there, just one block over, with their children Ellen “Joan,” and Judy Ann (youngest children Stephen David and Marina Kay were yet to be born). After arriving in Bakersfield, Ruby settled in at her parents’ house where she’d spend the next nine days. Anxious to meet the doctor she’d heard so much about, Ruby went to Kern General Hospital (now Kern Medical Center) to find out what he could do for Faye. Dr. Buss explained he had a friend in Los Angeles whose colleague was having “some success” with blue baby surgeries at the Children’s Hospital of Los Angeles. Just two years prior, groundbreaking research and experimental surgery had taken place at Johns Hopkins hospital in Baltimore. Dr. Helen Taussig (who would later become the first woman president of the American Heart Association) had teamed with Dr. Alfred Blalock and Dr. Vivien Thomas to advance the surgery from trials on dogs to performing surgery on children. Turns out “some success” in experimental medicine sometimes translates to a “small likelihood of success.” In this case, the odds were said to be 20:80. The vast majority of patients did not survive the new surgery at that time, but for those who did, their lifespan would be greatly improved. It would be a big decision. But Ruby now knew the options, and with California’s warmer climate, she knew what needed to be done. She and Oran needed to pack up, leave the farm, and head west. 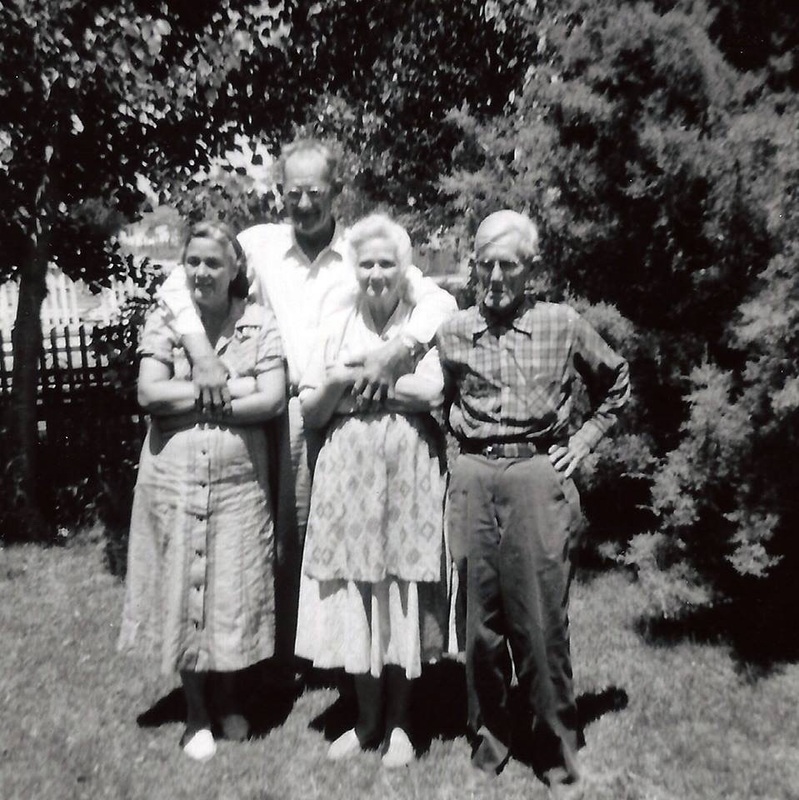 Some 40 years before Faye would be born, her father’s generation did a fair amount of moving from place to place before establishing the farm as the family homestead. 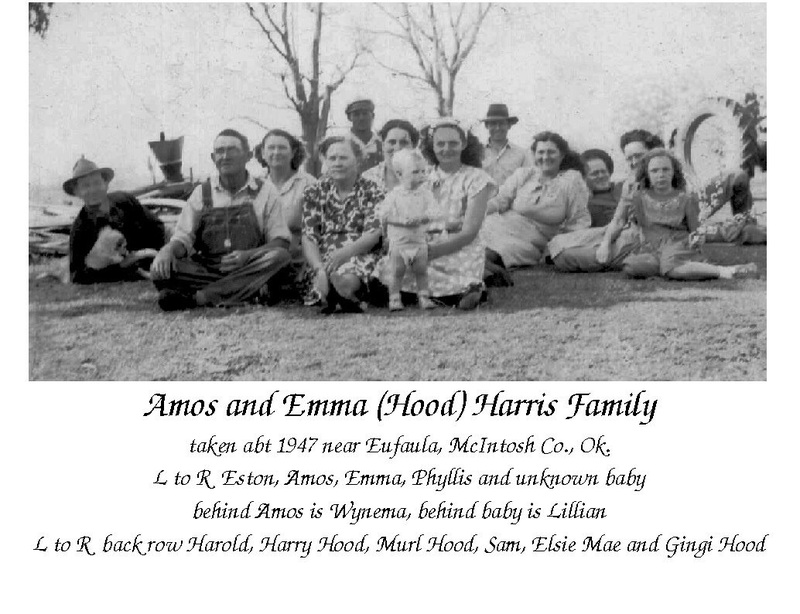 In the early 1900’s, when Oran was a little boy his parents, Amos and Emma Harris, moved their family between Havana, AR, Coalgate, OK, and other small towns in the region. Work for Amos consisted of odd jobs and stints in the coal mines at Coalgate (where the oldest Harris kids started school and spent five years of their childhood). In 1915, Amos bought about 140 acres of his Grandfather’s 700-acre home place. The cost was $265 in gold, plus of course the cost of getting his family back to Havana from Coalgate. Their children at the time were Eston (b. 1906), Oran (b. 1907), Harold Ormond (b. 1910) and Margie “Lillian” (b. 1913). When they reached their early 20’s, Eston and Oran (just 18 months apart) traveled around Oklahoma and beyond, chasing work and spending as much time in one place as the job would allow. Letters written to their mother Emma showed their continuing commitment to family. Will answer your letter – or Eston’s letter – I received this morning. You see, I receive all the mail. Eston works nights. About them clothes, if you haven’t sent them, well don’t. Papa and Harold need them worse than I do. I bought me a pair of overalls, but you can’t tell it by looking at them. Now sure is dirty work. But I can get me another pair when I need them. I got a good book to read. I guess it is a good one, it’s got a good title anyway. It is “The Boss of the Diamond.” Have just read two stories since I came. I can get all the books I want up at the library. I would like to write all night but I don’t know what I’ll write so will close for this time and let Eston write. Well Mama, it won’t be long now, about four hours, and I’ll be 22 on my birthday. Doesn’t seem like I am that old or that big, either. Sure have took a cold today, but I’m going to dope with Vicks and get well quick. Oran and I are getting along famously. We are not having a bit of trouble and it sure is better for me. Guess Oran has wrote you all the news, so I’ll sign off and try to write more next time. Come January of 1929, 10 months before the great stock market crash, the family headed west again, this time to Artussee, near the town of Eufaula, OK. Eston and Oran came along, and the move was made using two teams of horses and a Model T Ford they had bought for $165. Eston and his father leased property and a three room bungalow then eventually purchased a larger piece of property near the South Canadian River. The new property housed multiple homes, allowing Amos and Emma’s offspring to have a place for their new families to call home. Today, some of that land is submerged underneath the waters of Lake Eufaula, which was created in 1964 when the river was dammed. Amos and Emma Harris called the area home for the rest of their lives, and some of their children did, too. The family also took in niece and nephew Elva and Buck for a couple of years after Emma’s brother Lon’s wife died. It made for a full house, but Sam considered moving to their new place a fine way to celebrate his 10th birthday! Eufaula, Route 3 was their postal address, but the Harris clan actually lived about eight miles from town. Eufaula had been established in 1872, after the Missouri, Kansas and Texas Railroad (the Katy) reached the area and it was named after an historic Creek Indian village located in Alabama, the Creeks’ homeland. Amos and Eston later secured a $300 loan from the Farmers and Merchants Bank and started their venture of farming then selling their produce on the street corner. They peddled melons, tomatoes, vegetables and later pork and beef until the 1950’s. “We made many friends,” Eston noted, and at the age of 87 he was still able to name those friends. Again, he especially remembered the pretty ladies. In fact, Eston must have been considered both a lover and a fighter. His hand-written memoir lists several fist fights he appears to have been forced into (although he did reference having a temper), and those brawls included an occasional fight with younger brother Oran. While they were about the same size in their youth, Oran’s not-so-secret weapon was said to be face-scratching, which apparently gave him the upper hand with his older brother. In the end, the fighting ended, the wandering eye settled down, and Eston would spend 63 years married to Wynema. (But family still recalls his gentlemanly appreciation for a lovely lady, well into his senior years). Around the same time the Harris family moved from Arkansas to Eufaula, Reverend William “Will” Cunningham and his wife Ellen Jane (Loring) Cunningham moved their family from Copeland, Arkansas to Eufaula. Their family included James David (“Davey”), Linnie “Mae,” Ruby Annis, and Jewel Freda, aged 5 to 17 years of age. Another child, Zennia, survived only one day after her birth in 1922. Will was a minister, but he was also a stone mason by trade. In fact, he did the brick work on a church called Deers Chapel, which would eventually be converted into a home by Barbara Harris, Eston’s daughter. After Oran returned from the Army, he and his young bride Ruby Cunningham Harris (just 16 years of age) called the Harris farm home, living in a house a few hundred yards from Amos and Emma. No one, even Ruby in her twilight years, can quite recall how she and Oran met. Chances are it was at church or a related function Ruby would have attended with her brother, sisters and parents. The odds of romance springing up at church were especially good according to Oran’s brother, Sam. Indeed, it appears much more happened in and around that house of worship than the praising of God! Sam wrote, “Church nights were Saturday, Sunday and Wednesday night. Church was held at the school house and everyone came. Not everyone went inside or even listened to Clay Salters, who generally done the preaching. Most came to gather around and tell stories, drink a little if anyone had a dime which was the price of a half pint of wildcat…that is if you brought your own bottle.” What follows is a romantic picture of young love blossoming. “All the girls gathered inside the school house under the watchful eye of mama. They always tried to get a seat close to the window because all the boys would be outside looking in. Probably more marriages were perpetuated through the screens of the Artussee school house than anywhere else in the country. When the girls came out of the church into the vestibule, the boys would meet them there and ‘walk ‘em home,’” he wrote in quotes, implying that more than “walking” may have happened on that unescorted walk. As adults, Oran’s siblings Eston, Harold, Lillian, Sam and Maxine continued to live on the family property, some in the house with Amos and Emma, some in their own homes. Brother Ernest and his family lived off the farm but not far away. Maxine, who spent her life severely disabled, was unable to care for herself. Older sister Lillian never married, and spent much of her life caring for Maxine. 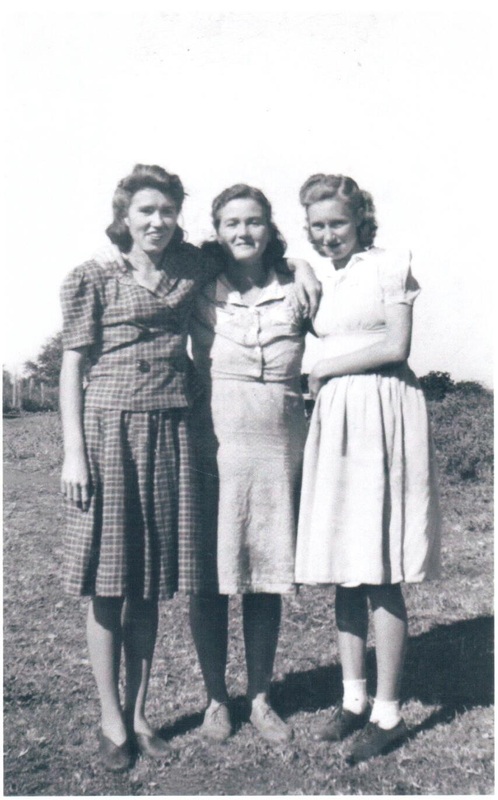 Without a wheelchair in the home, Lillian used her own strength and carried her sister from place to place and, Oran’s daughter Ruth later recalled, “She would lovingly hold her and talk to Maxine with only guttural sounds in response.” Later, Lillian would show that same love while caring for her parents in their final years. Indeed, Lillian’s strength and fortitude must have rivaled her brothers’. She was recognized easily from afar due to her unique gait, swinging with exaggeration from left to right as she walked. Carrying gallon-buckets filled with fresh milk or chicken feed (or whatever needed hauled) likely caused the swaying that stayed with her even when she wasn’t carrying the weight. Oran’s brother Harold never married and lived in the back room at Amos and Emma’s house. He was an industrious man who parlayed his love of fishing into a living. 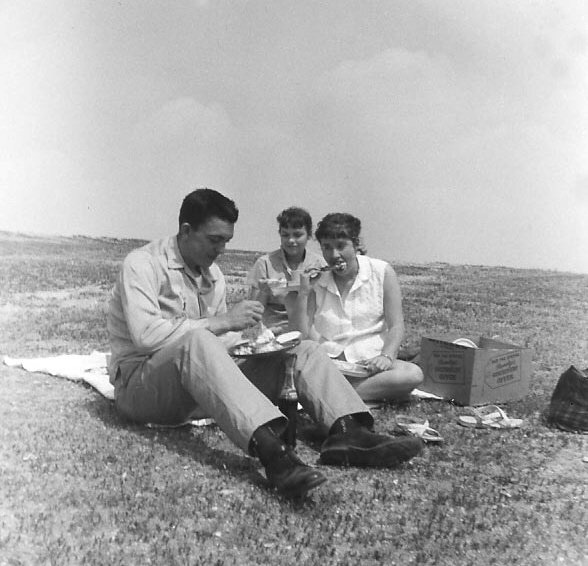 After Lake Eufaula was filled with water, Harold held exclusive commercial fishing rights along 600 acres of the lake. He’d throw out nets and bring in huge hauls of catfish. In fact, the University of Oklahoma Sooners football team would have orders of his catfish brought in each year for their annual fish fry. Soon, a new generation of Harris kids was born and the farm came to life with cousins galore! The boys did all you’d expect curious young men to do in the great outdoors. Seven-year-olds and guns got along just fine and Leon could often be found carrying around his .22 rifle, looking for his next target. 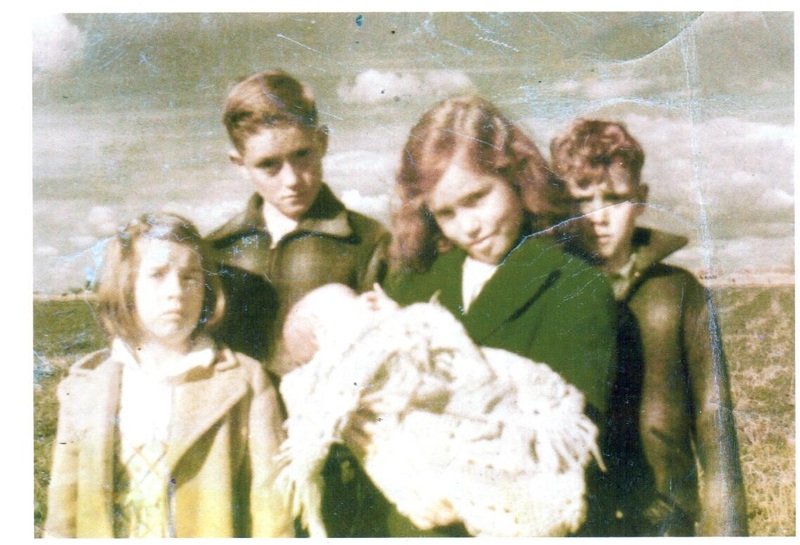 Leon was the youngest of Ruby’s boys at the time and, like his sisters and brother, he sported (curly) red hair and freckles, something like a 1940’s version of Tom Sawyer. “I’d shoot anything that moved…birds especially, but “big game” was jack rabbits. You had to be a good shot to hit a running jack rabbit! I hit a few but I missed a lot more,” Leon said. Other activities with his brother Mel and cousin Jimmy included swimming or fishing in the South Canadian River, and anything else they could get into. 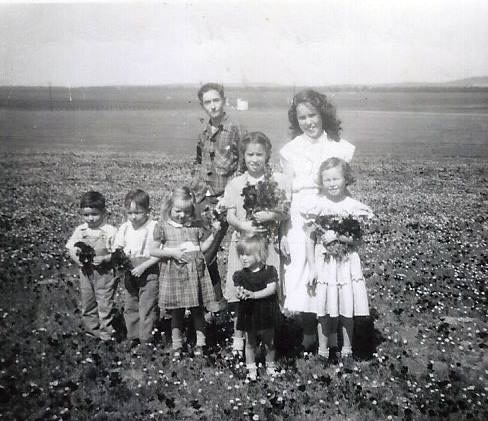 Life on the farm, in general, was a pioneer kind of existence, but at the same time, living so near their grandparents, aunts and uncles, and cousins provided for many special memories. For one thing, their elders had all given them nicknames: Mel was called Corky, Ruth was Sue-Sue, Leon was called Joe Bob and Faye was (and still is) called Sadie. 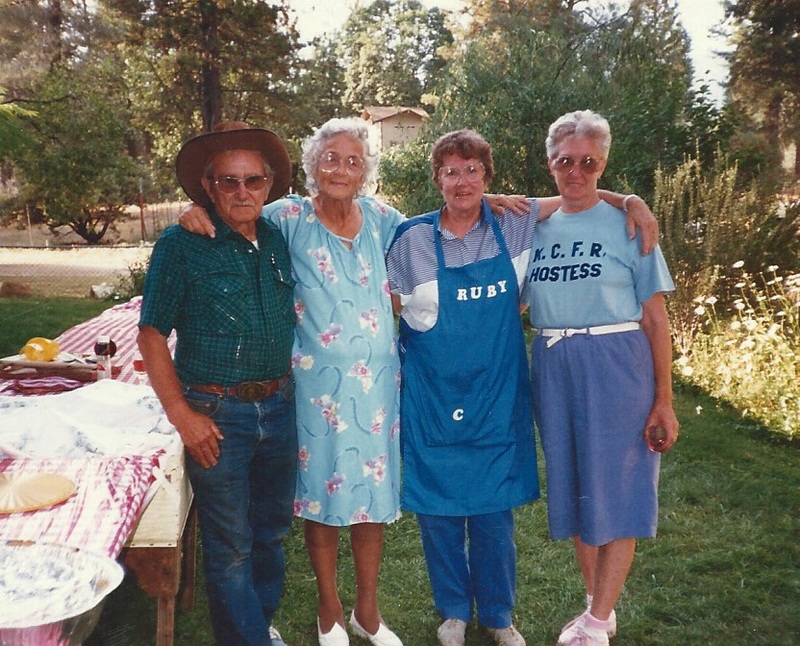 “I loved Aunt Lillian because she had lots of stories to tell us,” Ruth said. “Sometimes they were scary stories,” Ruth said. The two would go on walks to pick pokeweed for poke salad, which Ruth and Faye neither one cared for much. 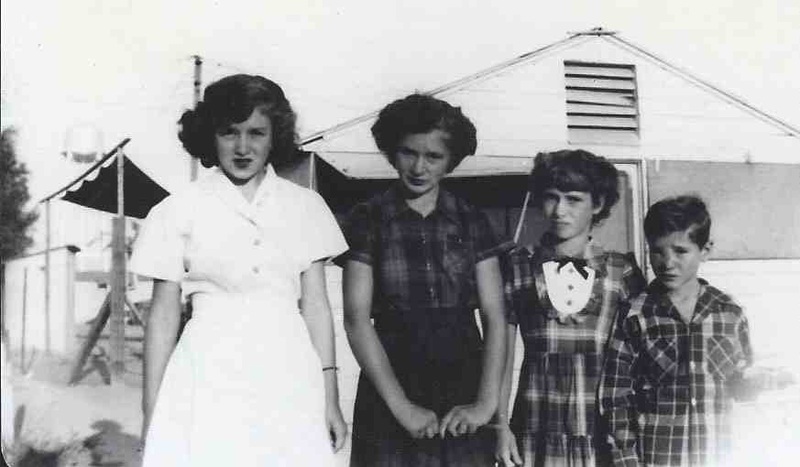 (Faye would later learn to cautiously prepare the dish in order to eliminate the possibility of poisoning, and she’d even enter it in the Kern County Fair many years later, winning praise and ribbons, too!). Grandpa Amos cured hams in a small smokehouse on the property. The smell of ham hung in the air; a smell that would never be forgotten. Leon and Ruth also remember, not fondly, what had to be done before a ham could be cured: the slaughter. Ruth recalled, “When it was time to butcher, they had all the children stay in the house, but we could hear the gun shots and the loud painful cry of the pigs.” Such was the sometimes gritty life of a child growing up on a farm. During the week, the kids walked a half mile dirt road to the two-room school house, Artussee School District #28, the same school house attended in earlier years by some of the kids’ aunts and uncles. Sometimes they wore shoes, sometimes they didn’t, but they always took a lunch packed by their mom, usually egg-and-biscuit sandwiches. When everyone was home, the family often came together for lunch at Grandma Emma’s, Ruby said, adding that they all got along with each other quite well. Evenings were short. Oil lamps were used but bedtime came not long after dark. There was no television, but the family would sometimes sit on a blanket on the grass and watch the stars come out. Baths were an occasional luxury since they required retrieving water from the well down the way, heating it on a wood stove, then pouring it into a galvanized tub. When the kids stayed overnight at Aunt Wynema and Uncle Eston’s house, or Grandma and Grandpa’s house, hands, feet and faces had to be clean before they could climb into bed! Oh, and the toilet was located outdoors, too, with the requisite Sears and Roebuck catalog. 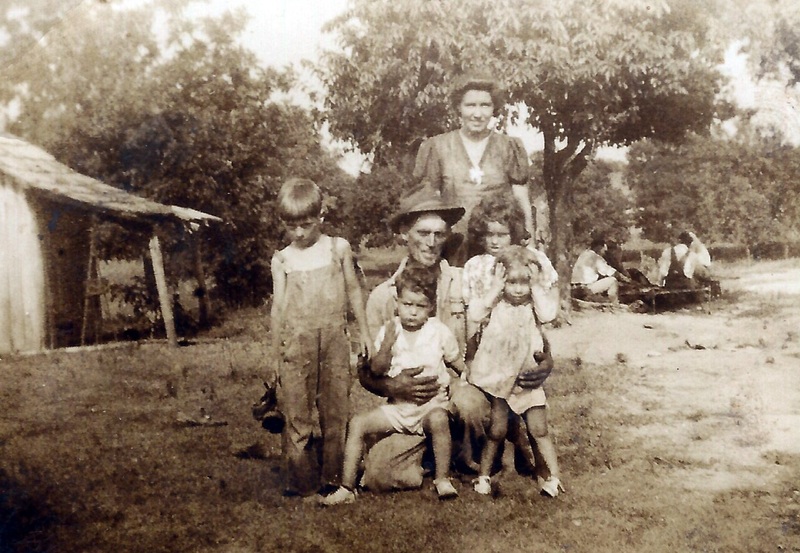 Ruby gave birth to the oldest four of her six children in a small house built on the land that would later be covered by the waters of Lake Eufaula. Delivering those Harris babies out in the country came a little easier thanks to the family’s midwife, Maggie Johnson, who had help from Oran each time. With help from Oran, Maggie delivered each of the babies. As for Ruby, she said she’d continue on with her regular chores like washing clothes the very next day. Looking back on it now, Ruth and Leon think they probably looked like the Beverly Hillbillies with their loaded-up pick-up truck heading west to California. At the time, though, they just looked like most everyone else. Packing up for the trip felt like they were heading out on an adventure, a vacation. Unlike the generation before them, they weren’t used to moving from place to place; the farm was all they’d known. Their grandparents and aunt and uncles were none too happy about the family leaving, but they understood. This trip was for the health of one sick little girl. Faye may have been born a “blue baby,” but now she had grown into a “blue child,” and her lips and extremities continued to have a tinge of blue due to her poorly functioning heart. Taking such a long trip, especially in a motorized vehicle, was new for these kids who were more used to traveling by horse-drawn wagon. The old flatbed with sideboards was loaded with clothing and personal items, plus a mattress for the kids to sit on. A tarp was stretched across the top to shelter the youngsters from the hot, Indian Summer sun. Leon says Faye was spoiled and petted due to her condition, and was allowed to ride in the cab of the pick up the entire way. No one else remembers it this way, however. Ruby said no, it was her job to ride in the front, lighting cigarettes for Oran who drove the whole way. Look out California, here they come, the Harris family: Oran and Ruby, Mel (10), Ruth (8), Leon (7) and Faye (6). The fried chicken dinner Grandma Emma and Aunt Lillian sent disappeared quickly, so most nights meant camping along the side of the road, eating cold spam out of a can for dinner. During the day, the sights along Route 66 intrigued the kids. “We were fascinated by the Navahos in New Mexico, selling their blankets,” Ruth reminisced. “The landscape was so different from the hills of Oklahoma. There were garden motels that looked inviting, but we couldn’t afford them.” The final part of the journey was across the hot Mojave Desert where Oran would attach a bag of water to the front of the truck to keep the water cool. Ruby’s parents and sister Jewel’s family welcomed everyone when they finally arrived in Bakersfield. Soon after, the family settled into a two-room accommodation at a former POW camp located near the corner of Edison Rd. and DiGiorgio Rd. in Lamont. Everyone called the place “Rubber Camp,” but no one is sure why. It may have stemmed from the term “rubber tramp,” referring to folks traveling from place to place, living out of their cars. Or maybe it was because of its proximity to the Fairfax Rd. “synthetic rubber project” farm where a shrub called guayule was grown (in an attempt to fill US rubber needs during the WWII rubber shortage). During the war, the site had been a Prisoner of War camp, housing mostly Germans and a few Japanese that were deemed to be war criminals. After the war, it served as a landing place for families coming to the area from the mid-west. The idea of living in a “camp,” or “temporary housing,” may imply a nomadic or sad existence. For many of its residents, though, the housing was some of the best they’d ever experienced. For the Harrises it meant a new life with modern conveniences. Running water from a nearby hydrant could be carried back to their kitchen, no need to haul water up from a well. At the end of the row of rooms stood a bathhouse and toilets. It meant their first-ever showers, and it meant no more outhouses! 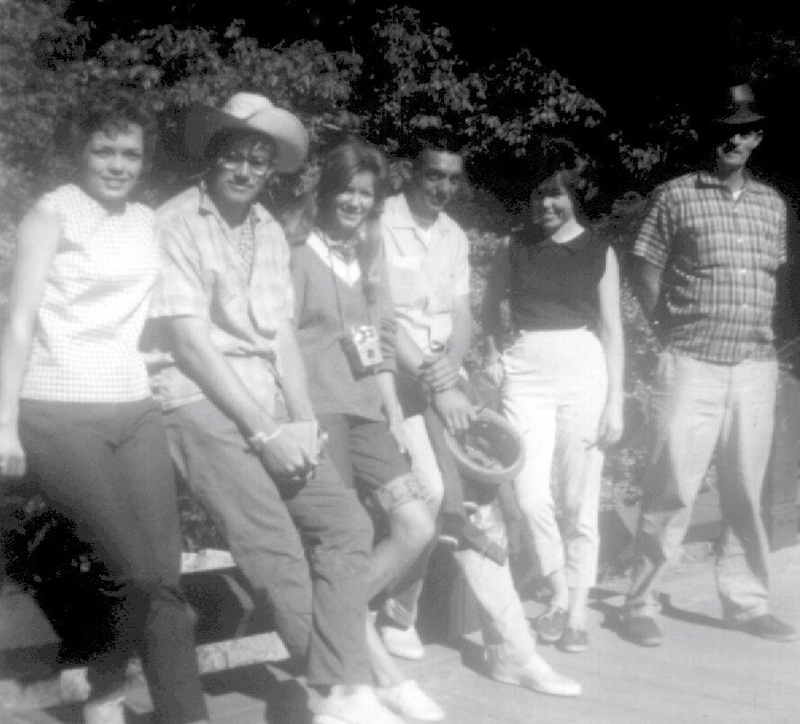 Many of the Harris kids’ earliest California memories were created during their time at Rubber Camp. While Oran worked miscellaneous jobs (including irrigation and other farm work), the kids filled their time making new friends, some that would last a lifetime. Leon saw his first ever movie – a silent one – with his new pals, the Moore boys. 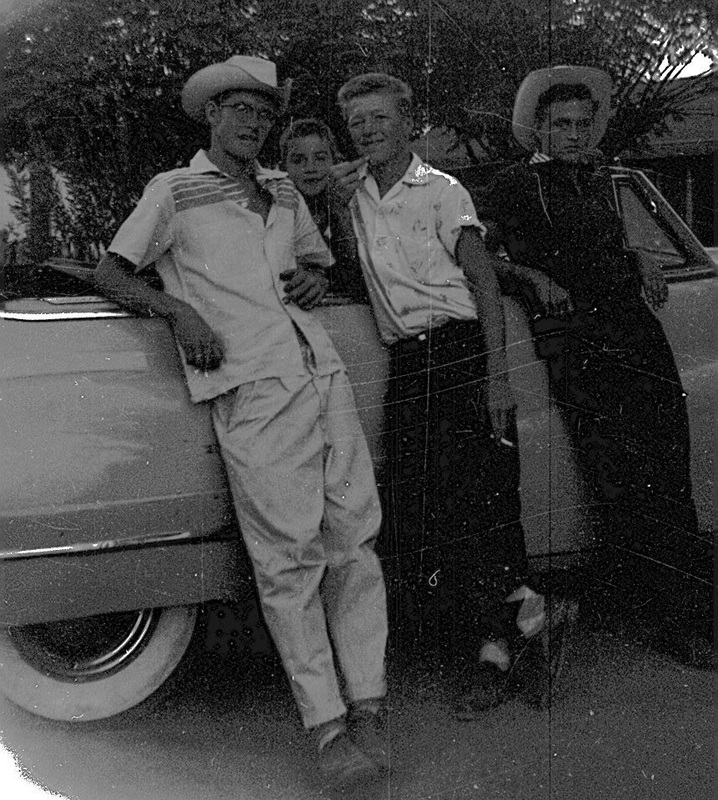 Roy, David and Bob (and later Wes who wasn’t yet born, and Jim who was in the Air Force at the time) would forever be friends of the entire Harris family. 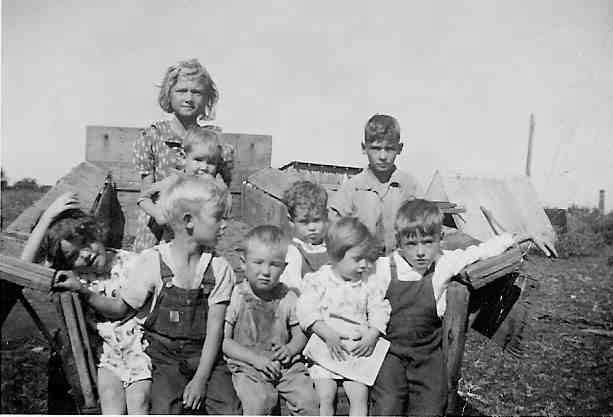 Ruby’s sister Mae Flud was also at Rubber Camp, with her husband Delmer and their children. The Flud kids were: Sylvia Mazelle, William Dover, John Wesley, Clarence Delmer, Lawrence Daniel, Ellen Christine and Richard Wayne. Unlike the Harrises, the Fluds were true “migs” or migrant workers. They traveled from place to place as the crops were ripe for picking or, most often, when the fluffy white cotton was bulging from its bolls. Luckily for all the cousins, it meant spending a lot of time in the the “golden empire” of Kern County! The family spent their first California Christmas in the camp. “One day a truck showed up and there was this group of nice people that gave out paper bags filled with fruit and candy to the children,” Ruth said. Even with its modern conveniences, Rubber Camp was not a nice place to live. It was loud. So many families living in close quarters led to arguments and the occasional sound of gunshots. Oran worked hard and soon he was able to save enough money to move his family out of Rubber Camp. They wouldn’t move into their permanent home until two years after arriving in California. For a while, after Rubber Camp, the family stayed in a house on McNew Court, near Ruby’s parents Will and Ellen (and just one block over from Jewel’s house on Feliz Drive). The area was called “Little Okie.” They spent time on Lana Street in Lamont and also in temporary housing at Cattani Farms. Eventually, Oran secured permanent employment working for the DiGiorgio family, the region’s largest employer at the time. He spent 25 years working for DiGiorgio Winery (which became a cooperative called Bear Mountain Winery in 1966). Though the hot central valley wasn’t necessarily known for the finest of wine grapes, the winery’s M. LaMont label was successful, especially in the burgundy, chablis and vin rose varieties. The Harris family increased in size when, on October 31, 1947, Curtis Harris was born, bringing the number of children to five. In order to provide his growing family a place to call home for good, Oran used his own two hands (and very little help) to build a home on Bertal Street, all while he worked full time at the winery. Leon recalled the kids provided an extra set of hands here and there. He would have been about eight years old at the time, and he recalls helping with the roof. In October, 1948, the home was ready and the family moved in on Curtis’ first birthday. The mailing address was Rt. 5 Box 377M and the mail could be picked up in a row of mailboxes on Weedpatch Hwy. In later years, mail would be delivered directly to house located at 8113 Bertal Street, the three bedroom, one bath house (with a wash building in the back) that would eventually be a congregating spot for many of the neighborhood kids. As the family finally got settled, it was time to address the reason they came to California in the first place: medical treatment for Faye and her ailing heart. Oran leaned toward foregoing the surgery and having Faye another four years (as doctors predicted) versus the possibility of losing her in surgery at the tender age of 8. Not Ruby; she had faith in the doctors and she felt they needed to give their youngest child the best chance at a long life. And she knew this: only one parent’s signature was needed. Surgery was scheduled for just one month after moving to Bertal Street. Ruby and Faye boarded the bus in Bakersfield. Alone. It was Thanksgiving week. Ruby had been prepared by the doctors who told her the main danger in travel would be at the higher elevations, due to Faye’s worsening condition. “If you can get her over the Grapevine, she’ll make it to Los Angeles,” she was told. Sure enough, that’s when trouble happened. Right there in Gorman, which was nearly the apex of the Ridge Route at 4,144 ft, Eunice Faye Harris had a heart attack. Memories of the event are almost completely absent today, with Ruby’s advancing age and Faye’s young age at the time. But the story of the event still resonates with Faye. “The bus had stopped so passengers could get something to eat at one of the restaurants. That’s when I had a heart attack, just like the doctors had warned Mom,” Faye said. “Fortunately there was a paramedic station of some kind nearby and the EMT’s revived me!” If any proof was needed that Faye was desperate for help, surely that was it. After things calmed down, and Faye was stabilized, they all continued along their way toward Los Angeles. As they settled in the hospital, preparing for surgery, Faye’s daddy, Oran, appeared. He’d driven to Los Angeles, and there he joined Ruby in signing the medical papers. This day and the events leading up to it must have weighed heavy on Oran’s heart for decades. The night of his death, October 15, 1983, Oran told Faye he was sorry he hadn’t wanted to sign the papers at first, explaining that he couldn’t stand to think about losing his little girl. When Faye awoke from her surgery on November 22, 1948, she was in an oxygen tent and she had a large incision down her back. Doctors had removed two ribs during the surgery, but the procedure was successful. Faye had joined the ranks of just 20 percent of patients who had survived this surgery. It truly was a Thanksgiving week full of joy and thankfulness. Finally, the next fall, Faye would be able to go to school for the first time in her life. She was nine years old when she began attending Lamont School, joining her older brother Leon (not much to his liking) in Mrs. Goodman’s third grade class. Thanks to home teaching by Ruby and teacher visits during long hospital stays, Faye wasn’t really too far behind. She was quickly up to speed, and anyone who knows Faye (a woman who “never met a stranger”) would find it hard to believe she got such a late start becoming a social butterfly. The two years prior to Faye’s surgery, and the time immediately following must have felt like a storm bringing one medical issue after another for the Harrises. 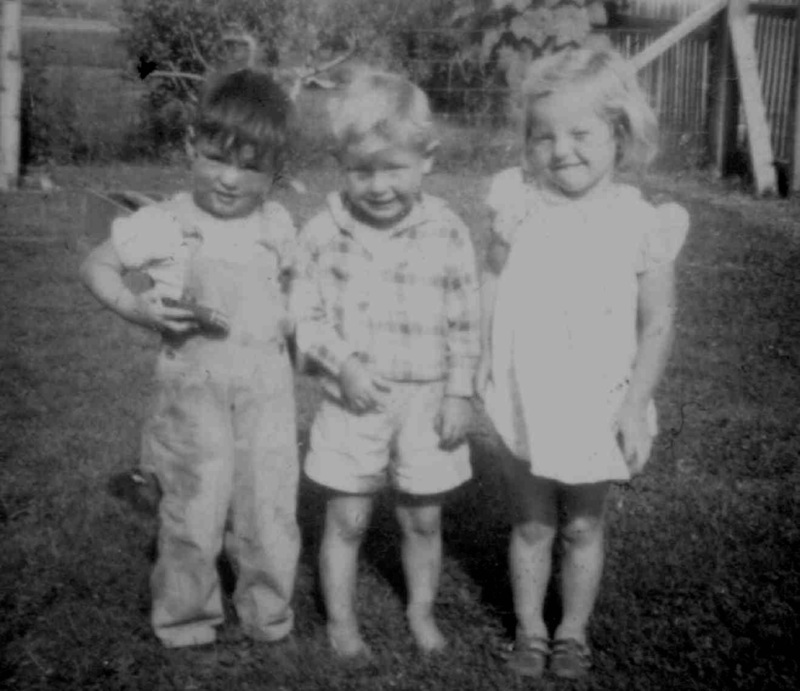 At one point (before the measles vaccine was available) Mel, Ruth, and Leon all had the measles at the same time. Then, not long before Faye’s surgery, Leon came down with a mild case of polio, which put him in the hospital under hot towel treatment for about a week. Their cousin Betty (daughter of Ruby’s brother Dave and and his wife, Jessie Cunningham) suffered a more serious case of Polio and spent time time in the hospital off-and-on throughout her childhood. Ruby, who was already active in the American Heart Association along with Faye, also supported the March of Dimes (which had been formed by President Franklin D. Roosevelt in 1938, with the goal of eradicating polio). The polio vaccine would be created and offered to students en masse in 1954, soon after Curtis would start school. Along came the 1950’s, shortly after Joyce “Elaine” Harris, Ruby and Oran’s youngest child, entered the world in the summer of 1949. While little Curtis and Elaine were focused on bottles and learning to walk and talk, the older Harris kids ranged in age from 10 to 14 years and they were enjoying school, friends, and the independence you get when your mom is busy with two babies under three years of age! The “homeland” of Eufaula may have been more than 1,000 miles away, but cousins were still a big part of the kids’ life. 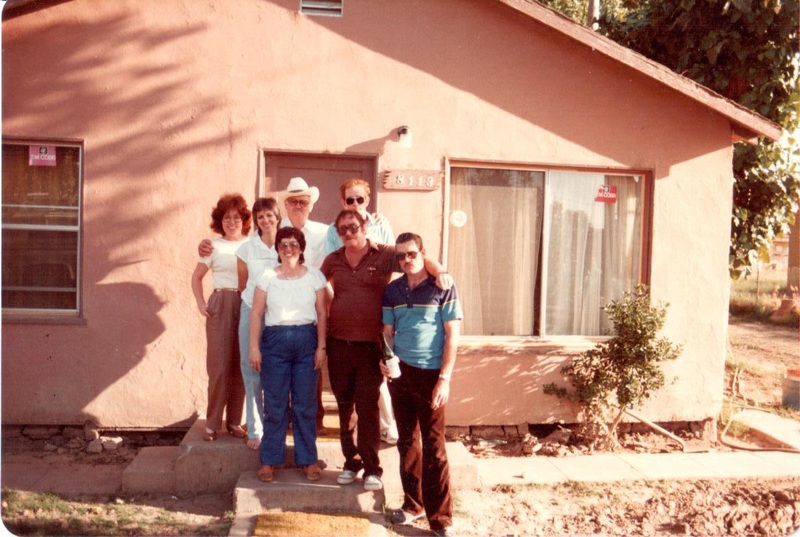 Oran’s brother Ernest and his family (wife Rhoda Lucille and children Ronald, Kenneth, Roy, Robert and Patty) had followed them to California, eventually moving in just two doors down on Bertal Street. And of course, Ruby’s sister Jewel and husband Dave Kitchen still weren’t far away, in Bakersfield, with their family. 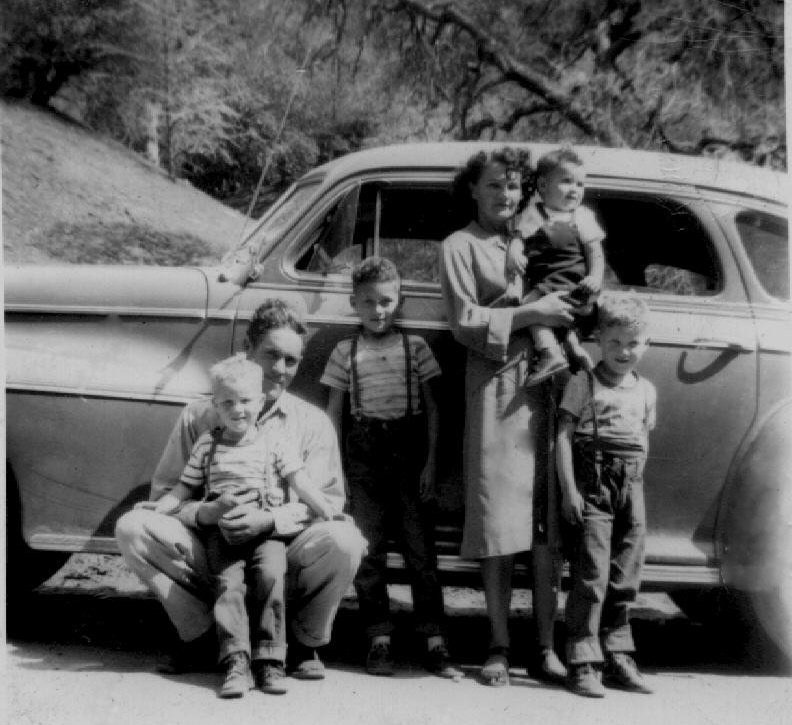 Ruby’s brother Davey and his family (wife Jessie Lee and their children Norma Marie, Dolly Jean, Betty Lou, Jerry John Paul, Patsy Sue and Billy Jack) also lived in Bakersfield, and her other sister Mae and her family continued to come through town occasionally, too, as farm work called. Life on Bertal Street was more modern than the farm, but the ‘50s were oh so different from today’s world. With no neighborhood trash service, each house had a 55-gallon barrel where families burned their trash. The wash tub and a wringer were located out back, in the wash building, where clothes would be cleaned before they were hung on a clothing line. For dinner, Ruby would wring the neck of a chicken, leaving it to one of the kids (often Curtis) to chase down the headless bird. Milk and dairy products were delivered by “Jolly Jody” (who was also in a band that gained national acclaim called Jolly Jody and the Go Daddies). When he talks about his youth, Leon says he did a lot…and pretty much whatever he wanted to do. As a young teenager, much like when he was a child in Oklahoma, he could still be found walking around with his .22 rifle. Sometimes he and Curtis walked to Hoyt’s Corner Superette Market to buy ammunition, then head out to a nearby canal to shoot beer cans or anything they could find. Canals were a popular hang-out for boys. They offered a place to gather, cool off, and generally act like kids during the hot Lamont summers. “In the summer, we lived at the canal,” Leon said. He couldn’t swim, but what did that matter? He jumped in anyway, and is still thankful to his cousin, Roy Loring (son of Grandma Ellen Cunningham’s brother Harley) for pulling him out as he floated by! Nearby vineyards supplied endless ammo for their grape wars. Neighborhood friend Jim Riddle and Leon enjoyed adventures and climbing structures, like the wooden oil derricks in Hilltop, just north of town. They lived on the edge of trouble. “In 1952, Mom and Dad bought two new J.C. Higgins bikes, one for the girls and one for the boys,” Leon said. Mel was 16 years old at the time and was getting too old for a bike. So Leon took it upon himself to take over both bicycles. “I cut the back fender in half and removed the horn and a lot of other things. Orville Wright would not have approved of it. Neither did Mom!” Leon said. A frequent get-away for the kids was the roof-top. 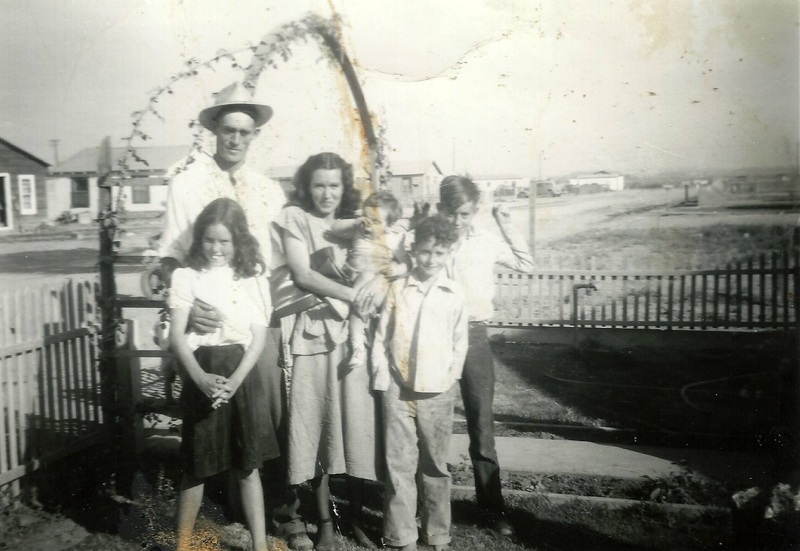 Sometimes it was a good spot to get away for some “girl talk,” Faye said, but for Curtis and his friends, it was the best vantage point for throwing rocks on the roof of the neighbor’s outhouse while it was occupied! One of the best things about the house on Bertal Street was having no neighbors to the west of the house. A large empty lot sat between the house and Weedpatch Hwy. and it was a playground for the whole neighborhood. “We played a lot of baseball games on that lot,” Leon said. “I was always in the field shagging balls.” Sometimes the property was used as a temporary camp by traveling farm workers. More exciting, though, was when traveling revivals would come to the lot, setting up a large tent. Curtis remembered, “Living right next door, we had ring-side seats to the theatrics and, occasionally, the genuine passion. Sometimes it seemed a little scary with the talking in tongues and people falling out. I enjoyed the singing.” Ruby’s father William was a minister, and his daughter Mae took after him, sometimes doing her own preaching in the revival tent. Other times, William and his brother Jim would preach together. 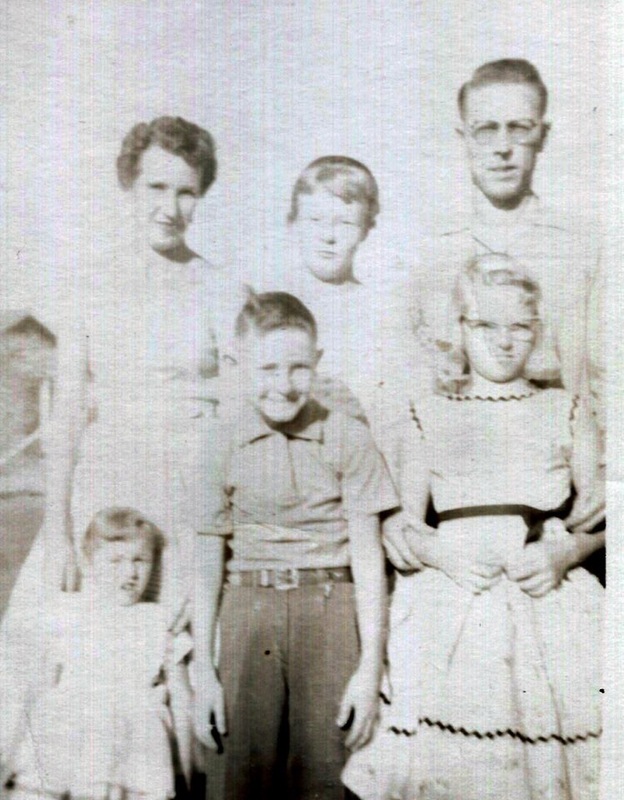 In the pre-dawn hours of July 21, 1952, the Harris kids awoke to something they’d never before experienced when a 7.3 magnitude earthquake (centered near Arvin) shook them awake. The older boys, Mel and Leon, were sleeping in the wash building in the back yard, along with friend Charlie Morgan, trying to stay cool in the summer heat. 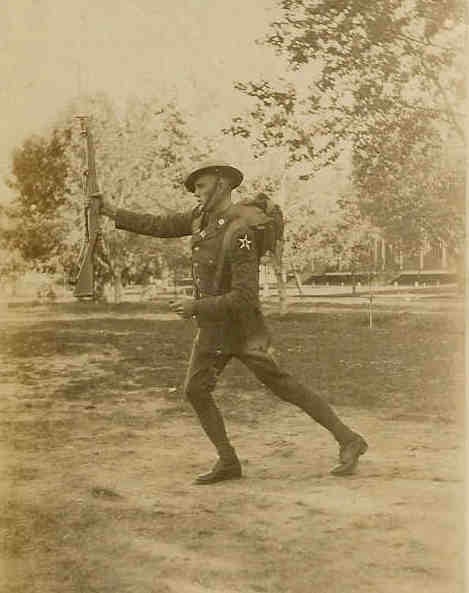 Leon’s memory of the event was fuzzy because, as many who know him can attest, he was nearly impossible to wake up from a dead sleep (later gaining him the nickname “Zombie” in the Army). Faye, though, remembers sleeping in her room with Ruth and Elaine when the shaking started. The house looked different; the refrigerator had slid across the kitchen floor. But there was no time for questions as everyone hurried out into the middle of the street for safety and to congregate with the neighbors. Charlie Morgan came around to the front, and so did Mel. Finally Leon, who had gone back to sleep, joined the crowd, asking “What’s everyone doing out in the street? What’s all the excitement about?” Long after the 45 seconds of shaking had stopped, the excitement and talk continued in the street as the neighbors looked west at fires that had broken out. The earthquake was great for business when it came to churches, and revivals began to spring up everywhere, especially on the vacant lot next door. There was rolling in the aisle and the shouting, singing and crying were louder than ever. Preachers admonished, “Get saved or go to hell…if the earthquake comes again, the earth will split and your whole house and family will fall in and go to hell!” As if on cue, a second earthquake struck about a month later, also on the White Wolf fault between Bakersfield and Tehachapi. Earthquake drills became common in schools, and family from Oklahoma tried to get everyone to move back, saying, “We may have tornadoes, but at least you can hide from them!” Lots of folks who didn’t have the nerve to risk more earthquakes, did pack up and head back to Oklahoma. One of Elaine’s early memories was Elvis Presley’s first appearance on the Ed Sullivan show in 1956. “Leon or Faye played his record at the same time he was on TV,” she said. I wanted to style my hair like Elvis and always wore Levis.” It was also the beginning of Faye’s life-long adoration of The King of Rock and Roll. About the time of Ruth’s reign, little Elaine was five years old and just developing her first memories. She and Curtis (despite his keen memory) have limited recollection of their time living on Bertal St. while their older siblings lived there. 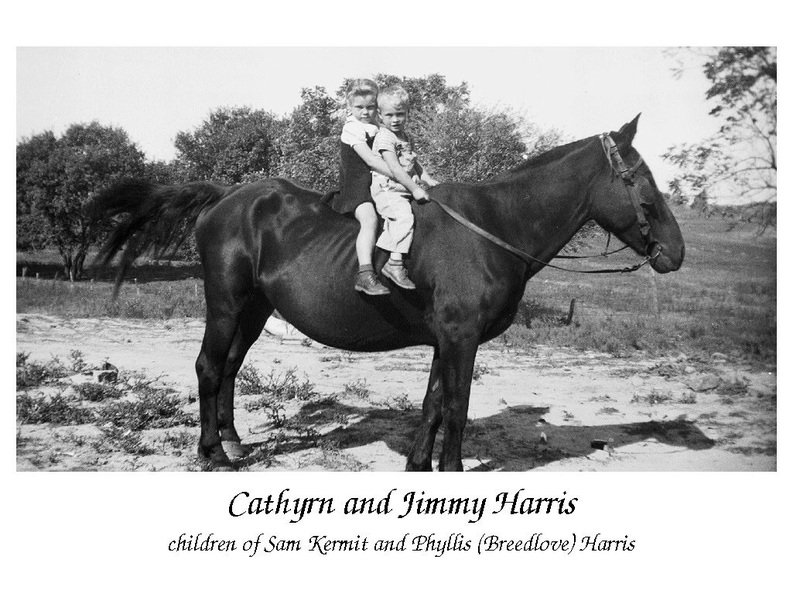 In fact, Curtis described the family as two groups: “Old Country Kids,” born on the farm, reddest of red hair, and all with coveted nicknames, and the two “New Kids on the Block” whose hair wasn’t red and who didn’t share in the Oklahoma upbringing. “There was a certain age and culture disconnect. By the time I became fairly cognitive and had solid memories, I was perhaps seven or eight years old,” he said. By then, the youngest of the older kids would have been Faye at 16, and the oldest, Mel, would have been 20 years old and already in the Marines. Even though they might not have done a lot of things together, the younger kids did live life in Lamont much like their older siblings. For example, Elaine (like the older kids) remembers walking up the street to Irwin’s Market, and facing the choices in front of her: red, orange or cream soda? Unlike her older brothers who cooled off in the canal, Elaine spent time with her friends at the Lamont Pool. As she entered her teen years, Curtis describes Elaine as being all about big hair, twirling batons, and spending time with friends. There may have been many years and many miles between the birth of the Harris kids, but they all were Mountain View Tigers and Arvin High School Bears. During those school years, Curtis would reign supreme at junior high ping pong competitions, Elaine would be a member of the AHS baton twirling team, and Leon would run track at Arvin High School. “My dad was proud of him being on the track team,” Curtis said about his brother. It was the 1950’s and nothing said “cool” better than a fast sports car and a flat, driving cap. Mel and Leon could be seen roaring down the streets of Lamont, along with brothers Jim and Bob Moore. Bob’s car was a second-year production Corvette (which looked just like the first year), while Mel and Jim preferred the English cars (an MG and an Austin Healy). Leon was a car aficionado and owned 19 different cars by the time he was 19 years old! At this time, he was likely driving a yellow and green 1947 Buick convertible. Cars were also the gateway to “fine dining” and entertainment of the time: drive-in restaurants and drive-in movie theaters. Dollar Night at drive in theaters meant just a cost of $1.00 for a car full of customers, enticing teenagers to even squeeze into the trunk so everyone could get in for practically nothing. Faye was best of friends with Mary Burrows who, on one particular evening, earned the privilege of driving the two girls to the movies. It wasn’t One Dollar Night, but that didn’t matter to the girls! 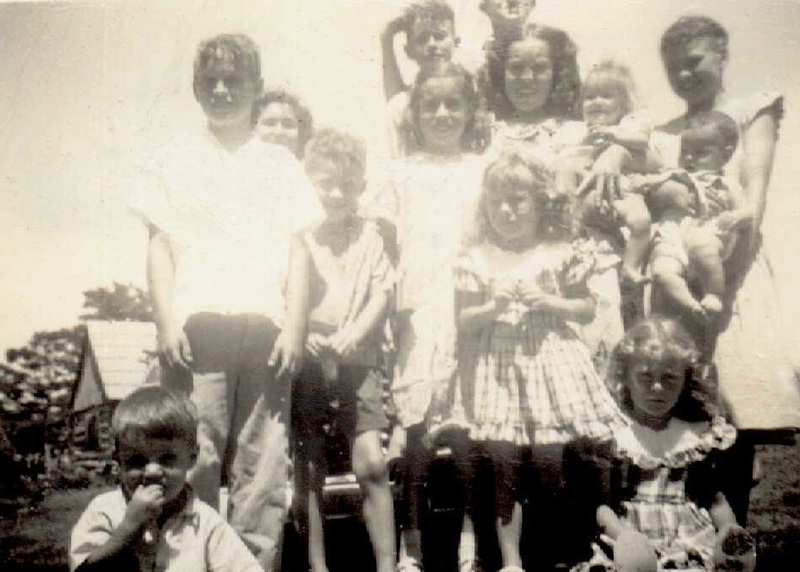 As was common practice, they filled up the trunk of the car with all their friends, including Mary’s sister Ina, her neighbor Melba Peaker, and Faye…more people in the trunk meant less cost for the movie! Leaving the driver alone, though, meant she held all the cards. Climbing over the drive-in movie fence was another way to catch a free show, but that meant a greater possibility of getting caught. “I bet I was the only person to get kicked out of both Lamont theaters is the same day,” Leon said. Climbing the fence into Lamont’s Thunderbird Drive-In got him kicked out of the movies, then he ventured to the indoor Village Theater where he attempted to use an expired ticket his usher friend had given him. Kicked out again! Mel worked at the Village Theater as a high school student, helping the projectionist. Movies of the day were often science fiction or adventure, usually in black and white, but some, like Tarzan, were in color. “Teenagers wanting to be seen would walk down the two aisles and across the screen before the movie started,” Curtis said. Usually it was their mom who would take the younger kids to the movies, but Curtis recalls seeing one movie with their dad and their uncle, Ernest. The 1957 World War II movie, “The Enemy Below,” starred Robert Mitchum and sparked some war talk among the men, since Ernest had seen action during WWII. Where young people gather, romance blooms. The Terrace Drive-In in Bakersfield was the beginning of a long love story between Faye and John Weller. Their first of many movie-dates was a showing of “The Professor,” a Bridget Bardot movie that showed a little skin and no doubt caused a lot of blushing. Faye and John eventually married in 1960. 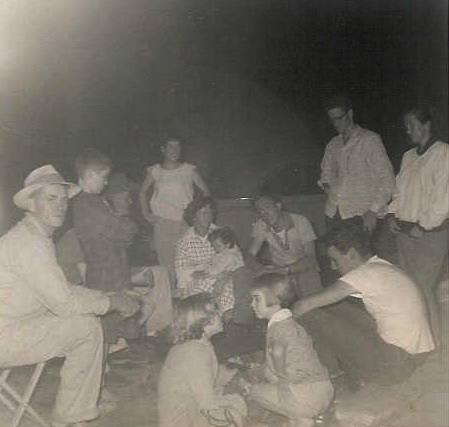 Whether it was of the viewing variety or the dining variety, the drive-ins of 1950’s Lamont provided a gathering place for friends, and enough memories to last a lifetime. photographer from Life Magazine captured and printed the images of the family amongst the flowers. Ruby appreciated the fun and the beauty of the world around her. “She taught us to pick up all that we brought and leave it the way it was when we came,” Curtis said. necessary. 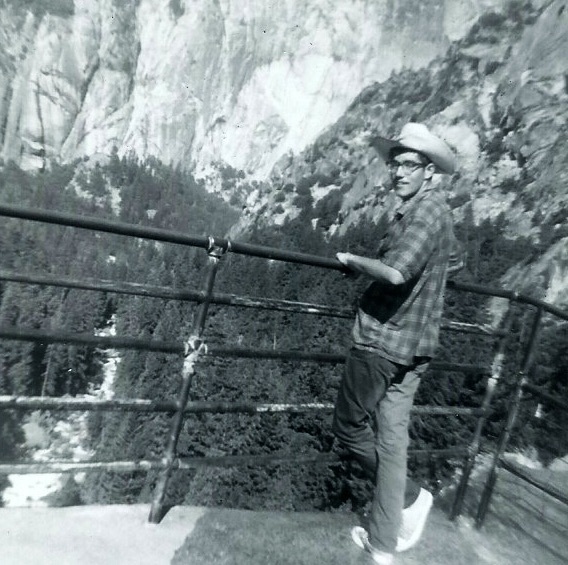 “We never stopped at motels, we just changed drivers and drove straight through,” Curtis remembered. Faye’s friend Melba became more than a friend to the family when she and Leon began dating. 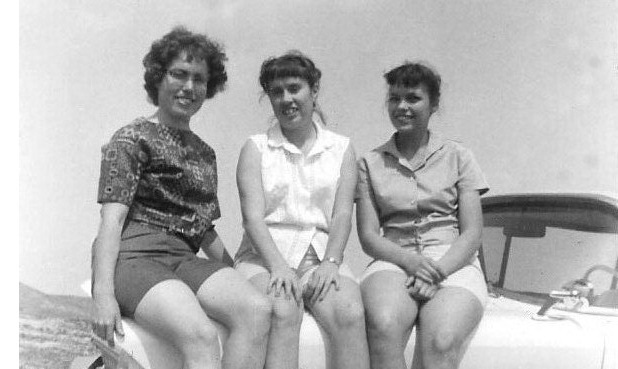 Melba often said that it was thanks to Ruby’s sense of adventure that she got to experience so much in her teen years. Shortly after she and Leon married (when she was 17 and he was 22), he was drafted into the Army and began serving in Germany. While Leon was in the Army, Melba joined the family on a trip to Oklahoma so she could be dropped off at her grandmother’s home in Shawnee. Curtis remembered that drive as being one of the best. 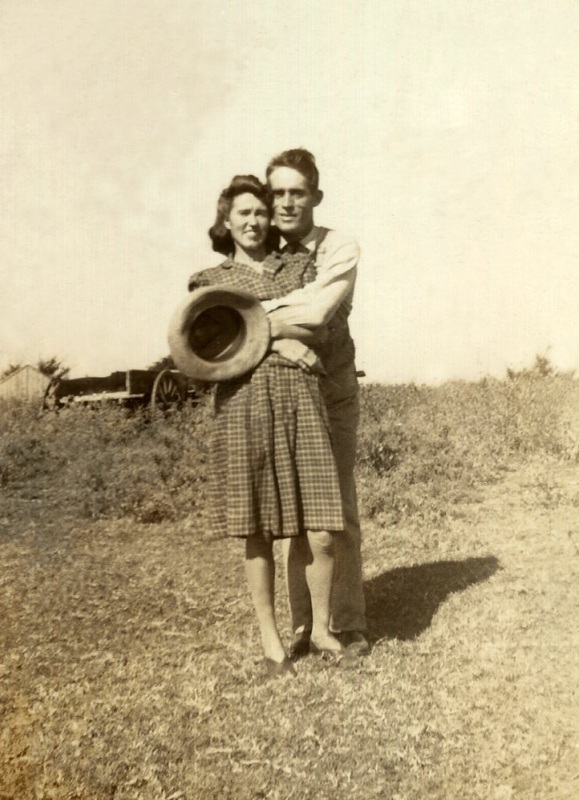 “I was around 13 at the time and we had a grand time in the back seat of the car, talking about the roadside signs and the mesas and the wilderness of the Texas Pan Handle.” His best memory, though, was of Melba’s encouragement and friendship. 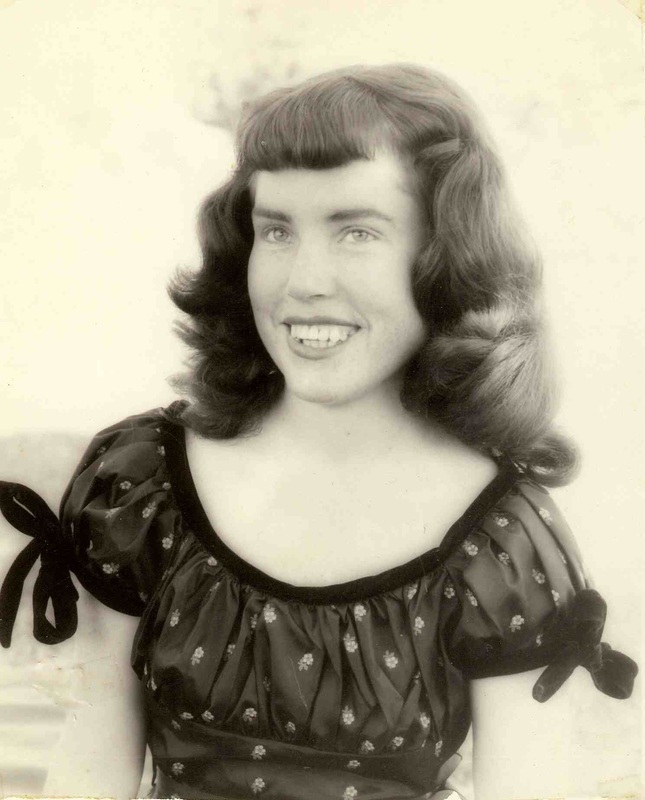 “At the time, I really enjoyed singing American folk songs and we would sing as we hurdled down Old Route 66. She really, honestly complimented me on having a good singing voice! Many, many years later, I thought of her as I sang Silent Night to the residents of Hunfeld, Germany in a park band shell. A German fellow sang the counter-point in German. Then I led the men of the unit and he led the town (in German), trading verses. Your mom’s encouragement did a lot to make that happen. She was a great and gentle encourager,” he told Melba’s daughter Cheryl more than 50 years later. 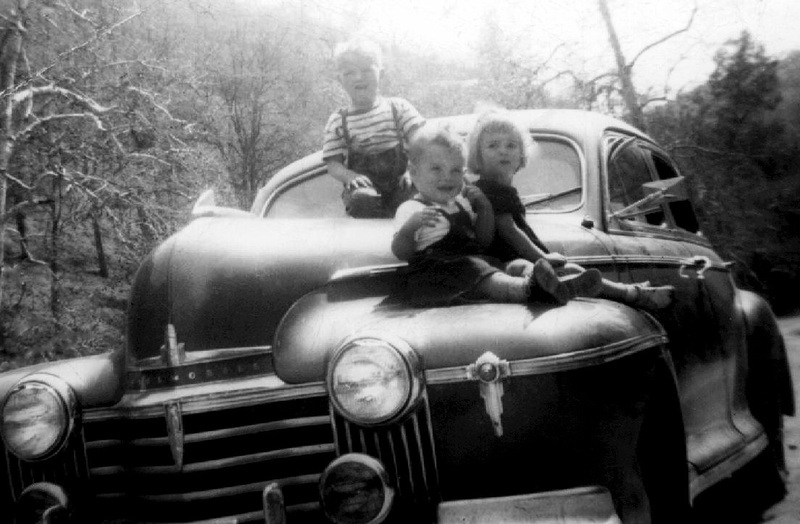 So they sped along (when Ruby drove, sometimes doing more than 100 mph; a bit slower when Oran took the wheel), and made detours here and there to see the country. They took a trip through a petrified forest, where they collected a long piece of wood that sat in their Bertal St. yard for years, and they stopped to buy ice cold watermelon from roadside vendors (and were surprised by the yellow flesh inside the fruit). 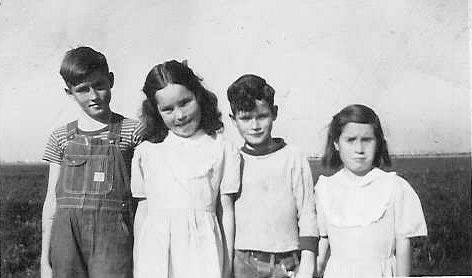 Elaine, who as an adult took her family to the farm for many visits, had quite the fright on one visit to Eufaula when she was a little girl. It was during a visit to the nearby stomp grounds, the ceremonial land where Native Americans gathered west of Eufaula to sing and dance in dramatic fashion, and young Elaine was rattled by the experience. The “new kids on the block” marveled at the dark night skies and other things experienced on the farm, like water drawn from a well, and animals. Lots of animals. As the late 50’s rolled around, times were changing for the Harris family. The older kids were up and out of the house: Mel joined the Marines right after high school, Ruth went on to Fresno State University, Faye and John got married on July 8, 1960 and exactly a year later, Leon and Melba did, too. About that time, Ruby and Oran grew apart and eventually divorced in 1964. Maybe it was their age difference, or Ruby’s urge to “live life as fast and as interestingly as possible” (as Curtis said), or maybe Oran’s affinity for a drink. As their marriage fractured, Curtis attended Bakersfield College, then (as he mailed his tuition check to the new Cal State Bakersfield) he received his draft notice in the mail. Next up for him was the Vietnam War where he would begin almost three decades in the Army. Proudly, though, Curtis would get that Bachelor’s Degree nearly 30 years later! After some time at Bakersfield College, Elaine began her 40+ year career as a flight attendant, where she would visit just about every corner of the world. Some say Elaine inherited the energy, enthusiasm, and wanderlust her mom exhibited while they were growing up. It was a sobering sight to take a look at the folks whose blood I share. And a thread that ran between them created family ties. And they might stand by proudly or they might cry out loud. that we are even there. And age is what it takes to put the flavor in the wine. you would find our forefathers were much like you and me. ‘Cause all we are is what they were with changes made by time. For all in all that is all we are, the product of their vine. In honor of Ruby Cunningham Harris Monroe’s 96th birthday, now is a time to reminisce about the life of a woman who, more than once, had the clarity to know what needed to be done and the fortitude to make it happen. And it’s a time to remember the impact she and others of her generation (and beyond) had on those around them. This is the short story of two generations of the Cunninghams and Harrises. In the history of our world, it’s but a snapshot in time and a glimpse of life back then, but in the lives of these two generations, it was their world, life as they knew it. There is much more that could have been told and there is even more yet to come. Thanks so much for sharing with me . I miss them all so much!! I enjoyed the read, I’m a Breedlove that grew up at Artussee, Chester’s daughter. Knew Eston, Harold, and Liilan all my life, and Sam was married to my Aunt Phyllis. The midwife, Maggie Johnson was my husbands grandmother. He also grew up knowing Bro. Salters. If you have any stories with mention of them I would love to here them. You are so lucky to have this documentation. Wow Pam, that’s awesome! Thanks for commenting! The Eufaula area and Bakersfield have quite a connection! I wish I had more stories about Maggie Johnson and the others, but that’s all I have for now. It was so fun reading old letters and interviewing people about what they knew/remembered. What a wonderful tribute to Ruby and her family. Great job. Thank you for sharing this family history and introducing these interesting people. I am fascinated by Ruby’s “deeper burning yes” determination to find medical treatment for Faye. Trying to imagine myself in her set of circumstances, I’m not sure I would measure up. So many steps along her path were problematic and yet she persevered. You can be certain that this story will rattle around in my head for some time. Ruby’s brand of courage is most often reserved for astronauts, superheroes…and remarkable mothers. Speaking of remarkable mothers, I see your face reflected in the picture of Melba leaning against the fence. You are such sweet fruit from from a beautiful vine.